* 1. Overall, how would you rate the quality of education being provided at Kent City Schools? * 2. How aware are you of the following academic initiatives? a. 1:1 Chromebook initiative for classroom use in first grade through high school. b. Collaboration with Kent State University and Kent City Schools (Team Kent). c. Focus on science, technology, engineering, arts and math, or STEAM, across grade levels. d. Emphasis on Literacy at all grade levels. e. Mental health/well-being focus for all students. * 3. How prepared are graduates of the Kent City School District for career and college readiness? * 4. How safe are Kent City School District buildings? * 5. Briefly describe what additional safety measures you think we should implement. Please provide specific examples. * 6. 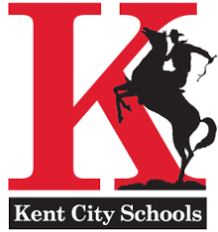 How would you rate the Kent City Schools communication with residents?